In Key West it’s always perfect golf weather. Here you can count on warm days and the ocean breeze to cool you off while you’re on the links. Being Key West, no one’s really stiff about competition either, which makes the 18 holes a great way to relax while you’re on vacation. The hardest part of your game will be getting the clubs to come with you. That said, it’s a perfect opportunity to dust off the clubs and hit the green. It’s just a 5-minute drive from 24 North to this public golf course on Stock Island. 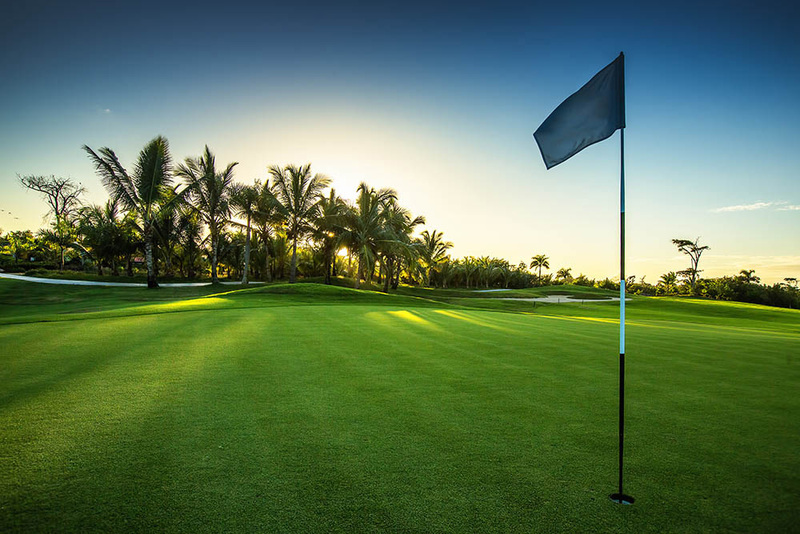 Designed by Rees Jones, the son of the legendary golf course designer, Robert Trent Jones, The Key West Golf Club is the most challenging course in The Keys, especially with its infamous “Mangrove Hole,” spanning 143 yards over an area of intertwined mangrove trees. Here’s to making it over the mangroves. If not, that’s one golf ball you won’t be finding after. But don’t worry, when you’re done you make the short drive to Hogfish for a beer and some conch fritters. Although not on Key West, this municipal course would be the ideal trip for beginners. Located on Key Colony Beach (near Marathon), the Key Colony Beach Golf Course has just 9 holes and short yardages, which makes a worthwhile trip for some rounds among friends. However, if you are looking for something more challenging, you’d be better off staying at the Key West Golf Club. Key Colony Beach is all about leisure. If you’re looking to take a day trip from Key West and explore some of the other islands in The Keys, this course is a good excuse to make the trek out to Marathon. This scenic course is also quite more challenging than its counterpart on Key Colony Beach, as it was designed by Mark Mahannah. And although it is a private country club, the Florida Keys Country Club does allow visitors. You’re in the clear. Ready to hit the links? 24 North puts you in the ideal position to visit The Keys’ best golf courses. Check out our specials here.